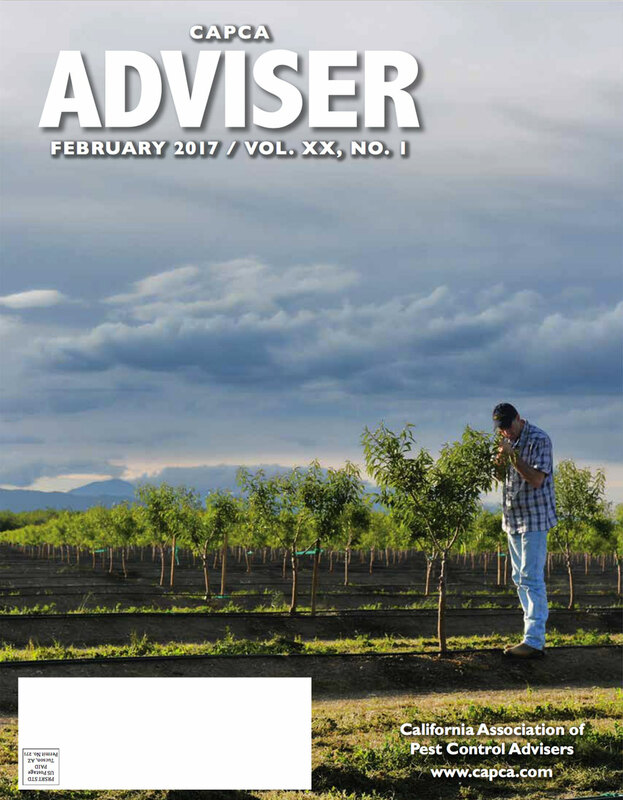 AgroLiquid issued a correction to their Feb. 2018 article. Click above for the revised article. Our magazine focuses on timely information and resources important to the PCAs throughout the state. Our 12-page newsletter features technical briefs on issues relevant to today’s application methods. How do I get a copy of these publications? ADVISER Subscriptions – included for all Active and Associate level members. 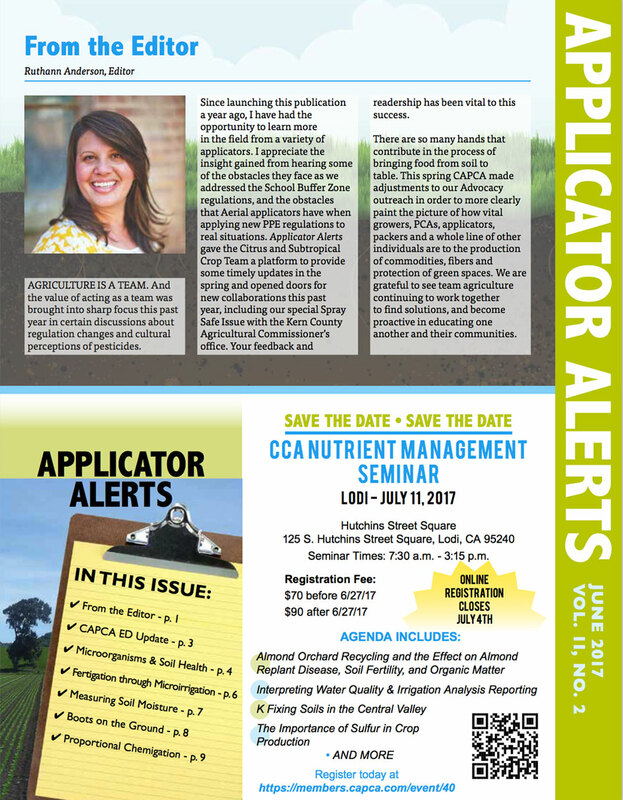 APPLICATOR ALERTS - AA is a special issue we provide to different segments of the industry throughout the year - if you want to receive all English issues, subscribe along with your Active membership or receive a free copy with your Associate membership. Who do I contact to submit an article to CAPCA’s publications?